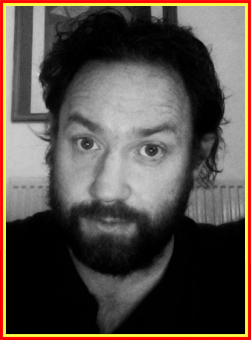 Michael Livesley is a Haydock-born actor, writer, singer and musician who has been actively creating and performing his own work for the last 20 years. He has also performed in numerous short films. 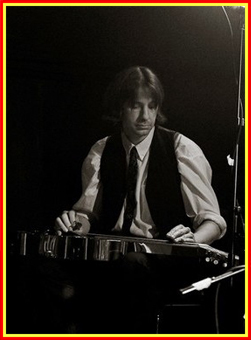 In summer 2009 percussionist Jonny Hase played the 'Sir Henry at Rawlinson End' LP to Mike and he began to check show listings nationwide for someone who was performing this astonishing piece. After many fruitless searches it became clear that no-one was doing it and, in stunned shock, he determined to perform it himself. With the attitude of ‘build it and they shall come’ he has been incredibly lucky in finding a dedicated and talented ensemble of people to come together for this production. Everyone involved has given freely of their time, money and skills to produce the piece you are about to see for simply one reason – their love of the source material and the genius that was Vivian Stanshall. His intention is to put Vivian’s name firmly back on the cultural map where it belongs, and consign the phrase 'Vivian...who?' to the waste-paper bin for eternity. His love of the work of Vivian Stanshall, in particular Sir Henry at Rawlinson End has meant that in recent times he has devoted the majority of his time not only producing the show, but also honing his performance as, well…everyone in Sir Henry. 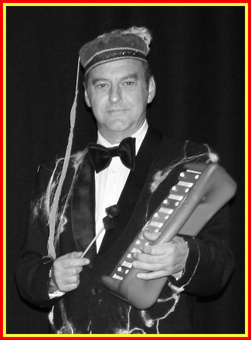 Ged comes from a traditional large Liverpool Musical family and has been playing gigs with his father since childhood. Ged has made his name for not only a performer but also as a session player and has a long-list of credits. Ged has played with Zen Baseball Bat and Stig Noise Sound System and, like Bill, plays with Sidney Bailey’s No Good Punchin’ Clowns. He is currently studying music at Hope University. 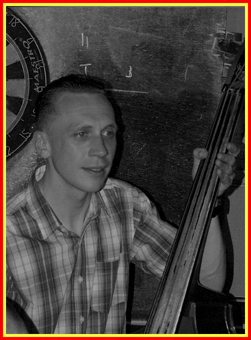 Chris took up the Double Bass in 2002 and the ukulele soon after. He has a passion for pre-war jazz and dance music, particularly featuring the ukulele. 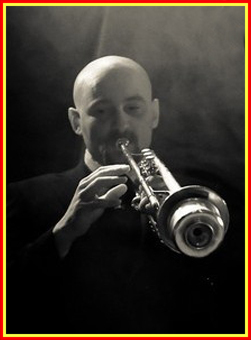 Chris plays in a number of Liverpool bands including Blue Demon, Sidney Bailey’s No Good Punchin’ Clowns and The Downtown Dixieland Jazz Band. 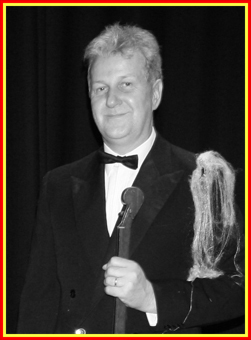 Chris is also a huge fan of Vivian Stanshall and seized the opportunity of playing in Sir Henry at Rawlinson End. Jonny is an accomplished percussionist with many strings to his rhythmic bow. Aside from founding the Halton School of Samba and playing with Liverpool legends such as The Stairs and Peter Coyle, Jonny is also passionate about his work as a Music Therapist with adults with learning difficulties. Jonny is the first person who played Sir Henry to Mike and the rest is history. In the show Jonny plays all percussion. Like Bill John trained at Mabel Fletcher Music College and since graduating has carved out a career playing violin and clarinet professionally. Aside from Sir Henry at Rawlinson End John plays with Pete Bentham’s Dinner Ladies. He was also a member of the fondly remembered band Halfway to Eddie’s. John is also a music teacher.